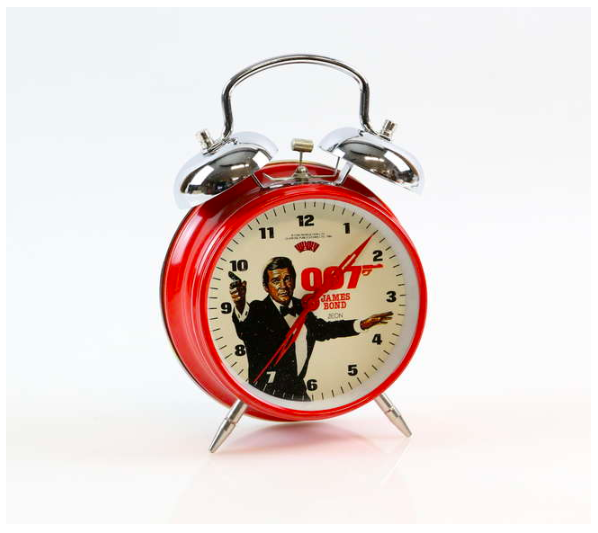 Shaken, not stirred is the order on offer at an upcoming James Bond-themed sale. 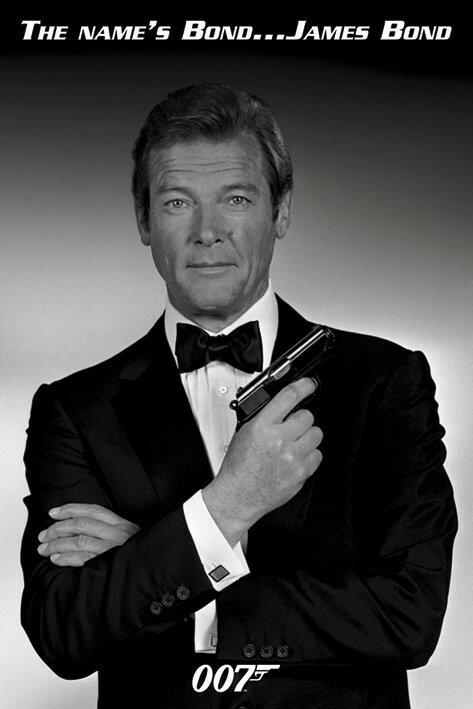 Surrey auction house Ewbank’s has an exciting upcoming auction for fans of the James Bond franchise. 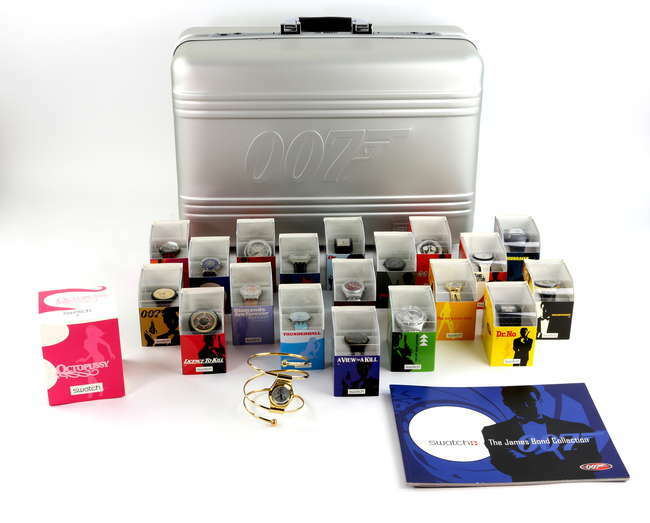 Included are props, posters and collectibles from a range of the Bond films throughout the years. One of the most exciting items available for purchase is this replica golden gun from The Man with the Golden Gun, autographed by Christopher Lee in clear black marker. The limited edition, gold-plated replica was manufactured by S.D. 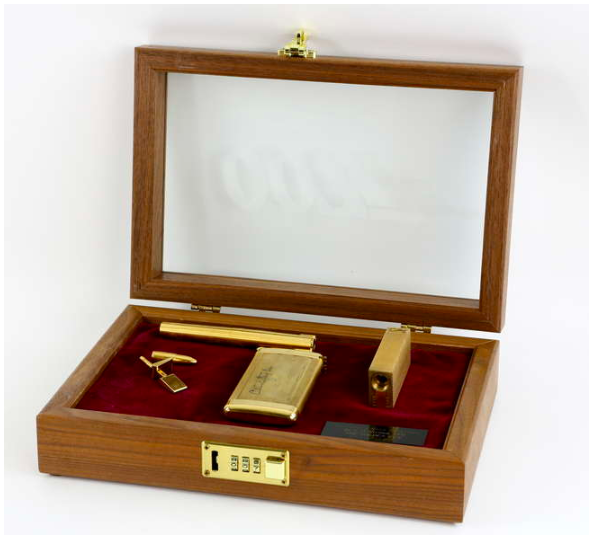 Studios Ltd, the gun assembled from a dummy Colibri lighter, a dummy pen for the barrel, a dummy cigarette case for the handle and a dummy cufflink trigger (with replica bullet engraved 007), all presented in a case with combination lock and descriptive plaque. Another valuable item on offer is an Omega Seamaster Professional Planet ‘James Bond Quantum of Solace 007’ stainless steel gentleman’s bracelet watch. The watch is unworn and comes boxed with leather card holder, instructions, warranty and certificate. 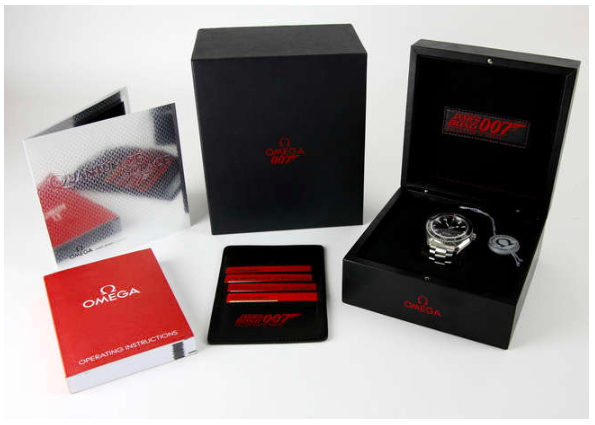 If you’re a serious fan of James Bond watches, a collection of as-new twenty cased Swatch watches, celebrating Bond’s 40th anniversary, are also available. The watches include Dr No, Thunderball, You Only Live Twice, Diamonds Are Forever, The Living Daylights, From Russia With Love, Die Another Day, Tomorrow Never Dies, Licence To Kill, For Your Eyes Only, Live and Let Die, On Her Majesty's Secret Service, The Spy Who Loved Me, Goldfinger, A View To A Kill, The Man With The Golden Gun, GoldenEye, The World Is Not Enough and Moonraker, all boxed as new. Plenty of posters advertising the Bond films are also going under the hammer, alongside a slightly more unusual one advertising Aston Martin, which has been consigned for sale by a family-owned dealership. 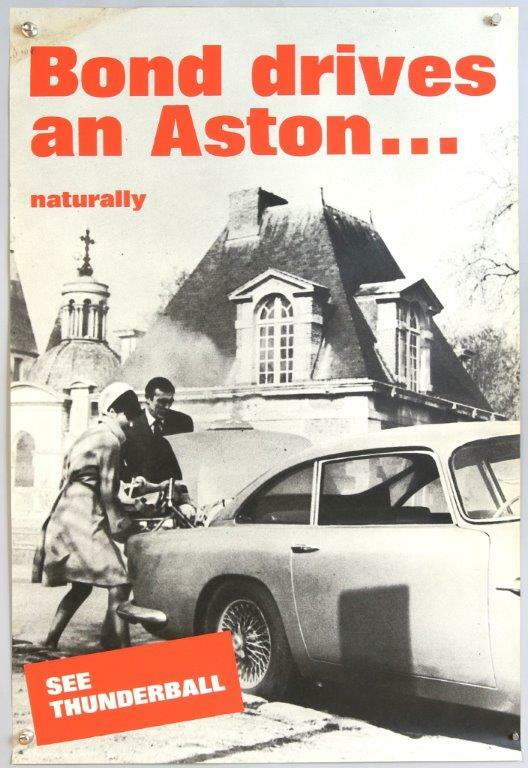 Bearing the tagline, ‘Bond Drives an Aston… Naturally’, the poster is taken from the 1965 release of Thunderball, starring Sean Connery. It has been in the family’s possession since its issue when it was given to them by Aston Martin. It comes with a signed letter of authenticity from the dealership.